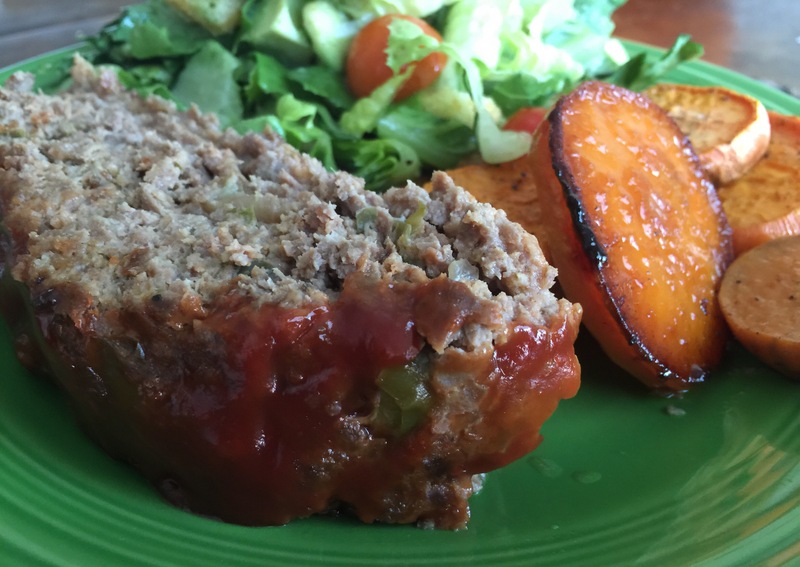 Yes, you heard me correctly… Smoked meatloaf is where it’s at my friends! 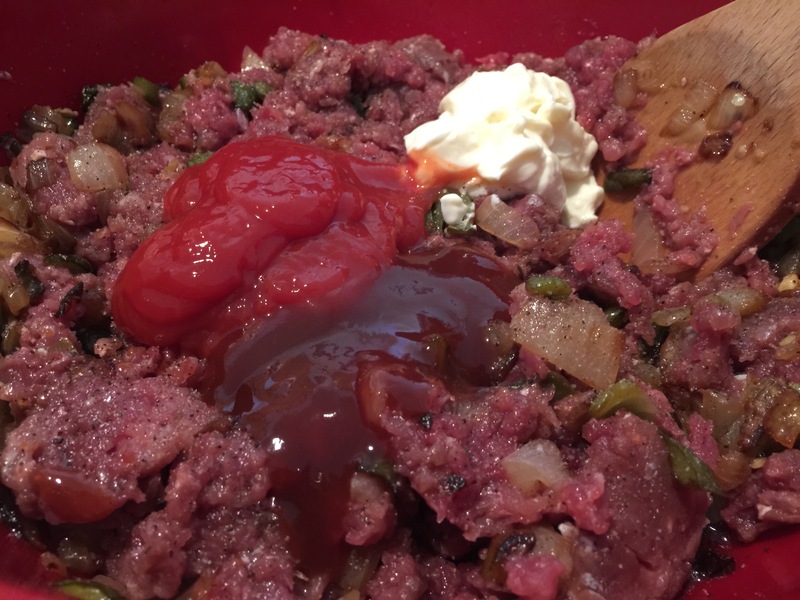 I will never again make meatloaf in the oven after eating this! Wow! It was juicy and delicious with the most awesome smoke flavor. Seriously yall, you’ve got to try this! It’s my husband’s birthday this week and I know he’s always wanted a smoker. So I got him one and of course we couldn’t wait to try it out. 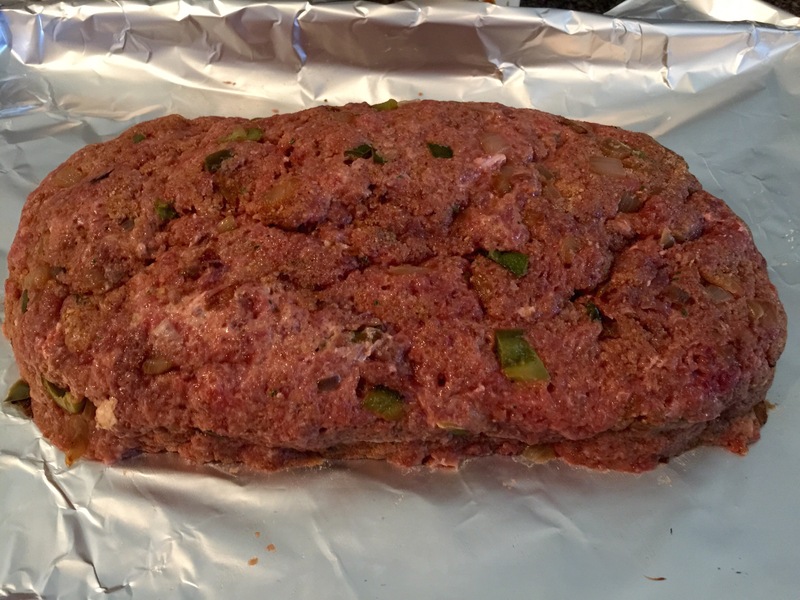 Aside from the obvious things people smoke, I wanted to try a slightly adjusted meatloaf version of my regular meatloaf recipe. I had heard about a restaurant that serves it as well as traditional smoked BBQ, and I’m so glad it worked out for us too! 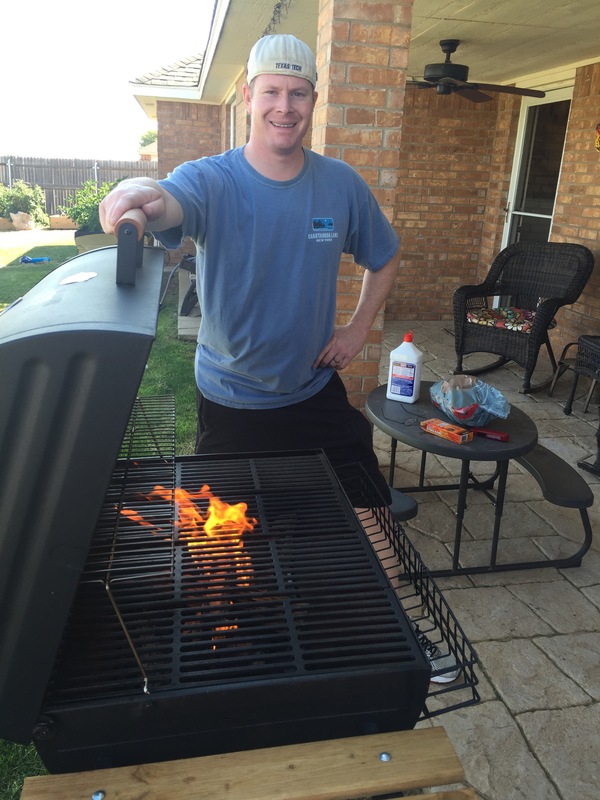 The key is to cook your meat at about 225 degrees (low and slow). 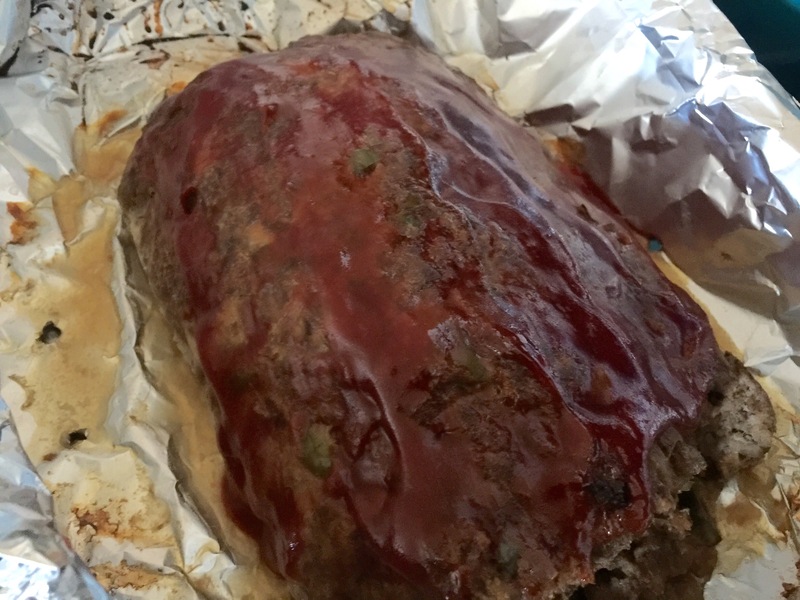 I had originally thought it would take about 4 hours to cook my two pound meatloaf, but it ended up being done right at 2 1/2 hours. My original plan was to glaze it halfway through, but when my husband went to glaze it, the internal temperature was at 165, so it was time to come off. I ended up glazing it and running it under the broiler for a few minutes in my oven, which worked out just fine. Either way you want to glaze this will work. 1. First get your firewood going in your smoker with your favorite wood. My dad loves to use Post Oak to smoke all his stuff with, but we don’t have any of that in Amarillo. 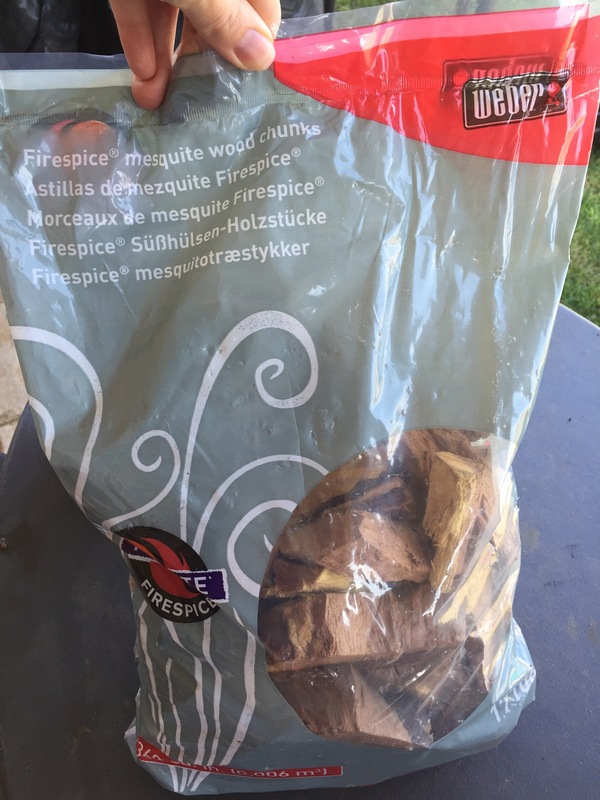 I buy the cheapest firewood possible and flavor it with a few of those mesquite wood chips I was telling you about. 2. 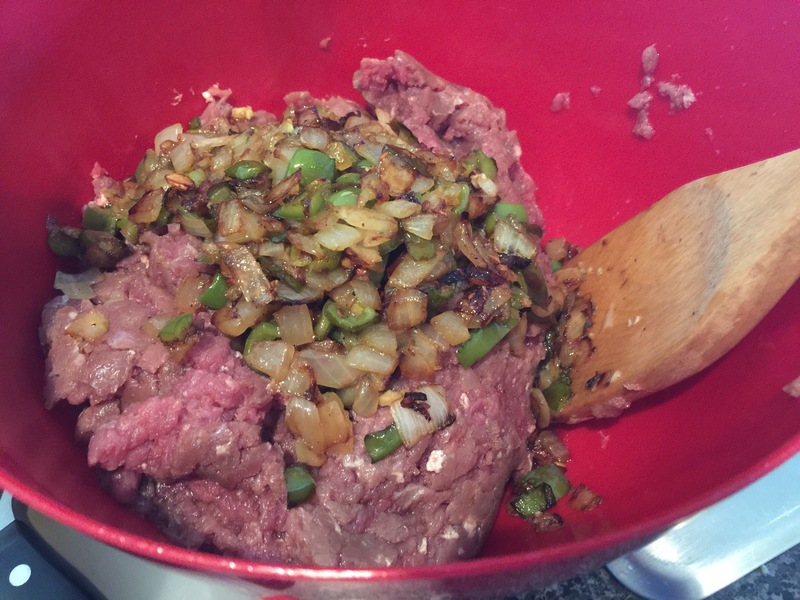 Let’s get your veggies going for the meatloaf mix. 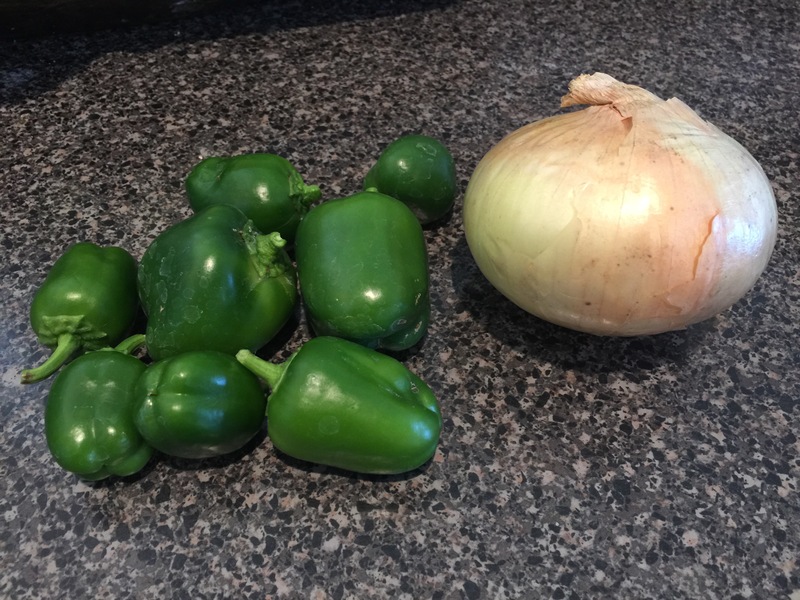 I know I said 1 large bell pepper earlier, but I have baby bell peppers growing in my garden so I grabbed enough that I thought would equal one large one. 3. 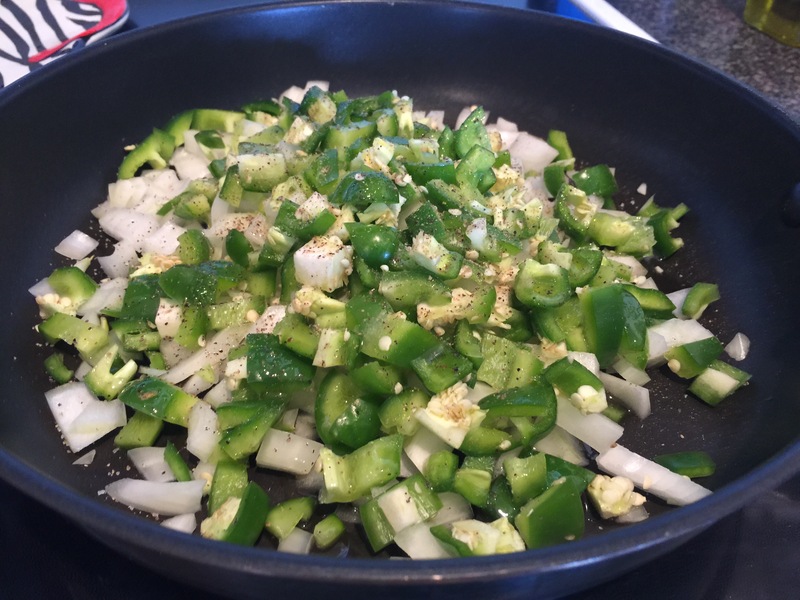 Season veggies liberally with salt and pepper and drizzle with olive oil. 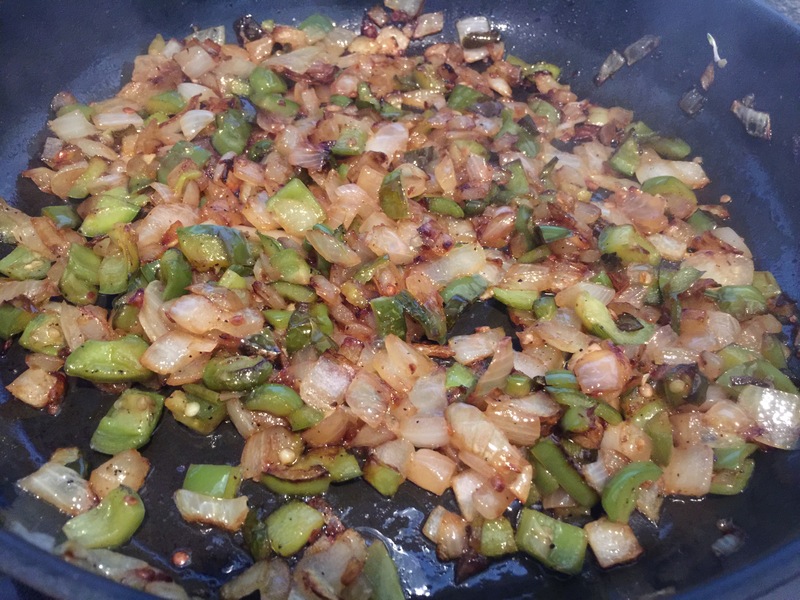 After about 15 minutes of cooking them over medium heat, toss in your chopped garlic and cook another five minutes or so. 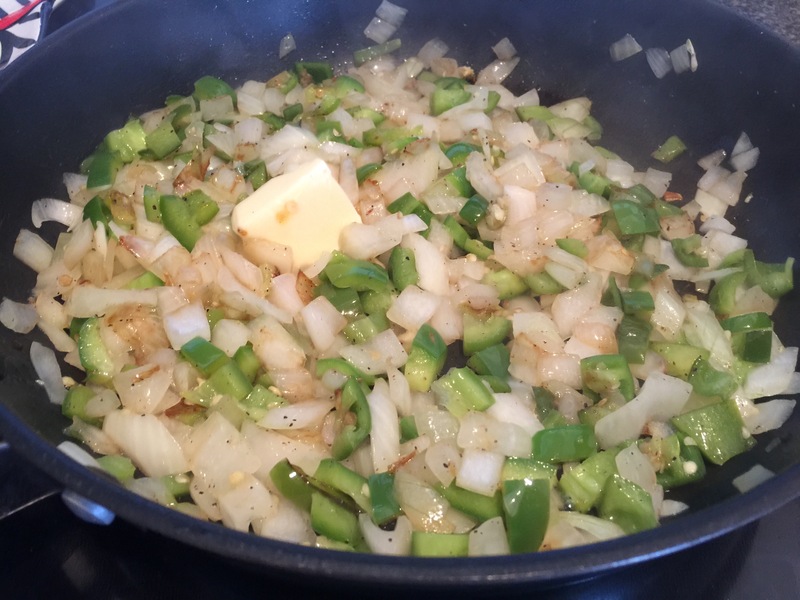 Also, it was at this stage my veggies were crying out for butter, so I happily obliged and added about a tablespoon or so. Because, why not? 4. 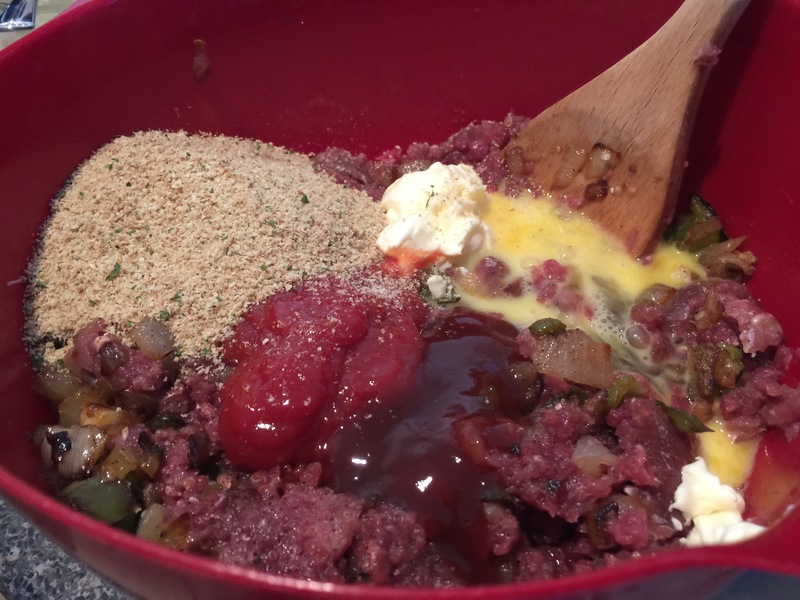 In a large mixing bowl have your ground meat ready to go seasoned liberally with salt and pepper.Then add your cooked veggies. 5. 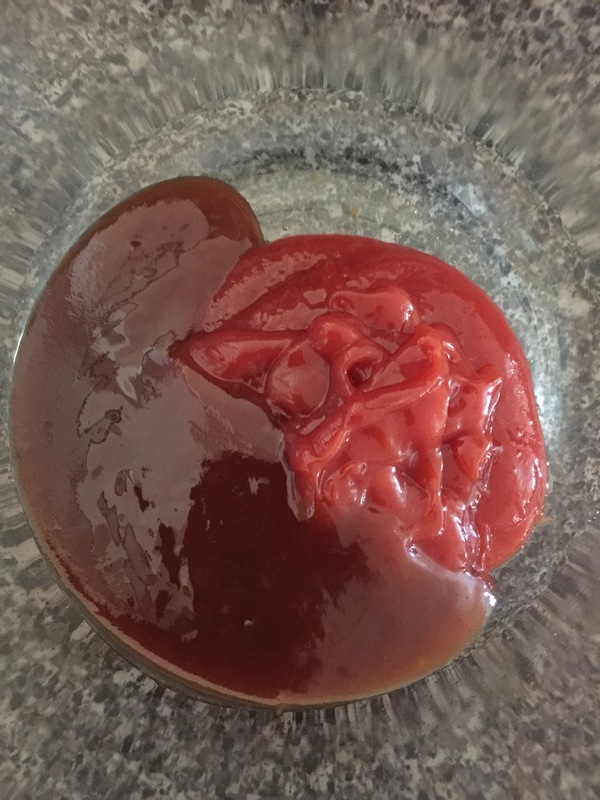 Now add a healthy squirt of ketchup and BBQ sauce, and a heaping spoonful of mayo. 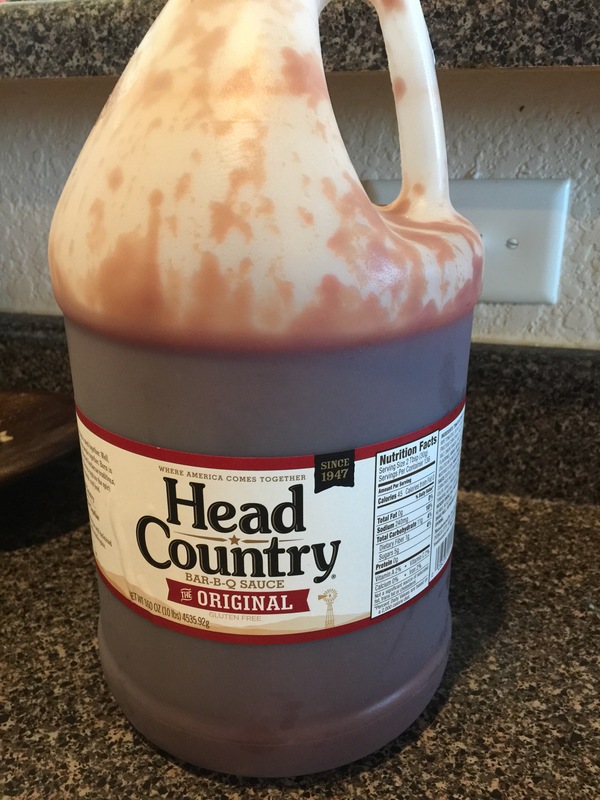 We are serious about BBQ sauce in our house. 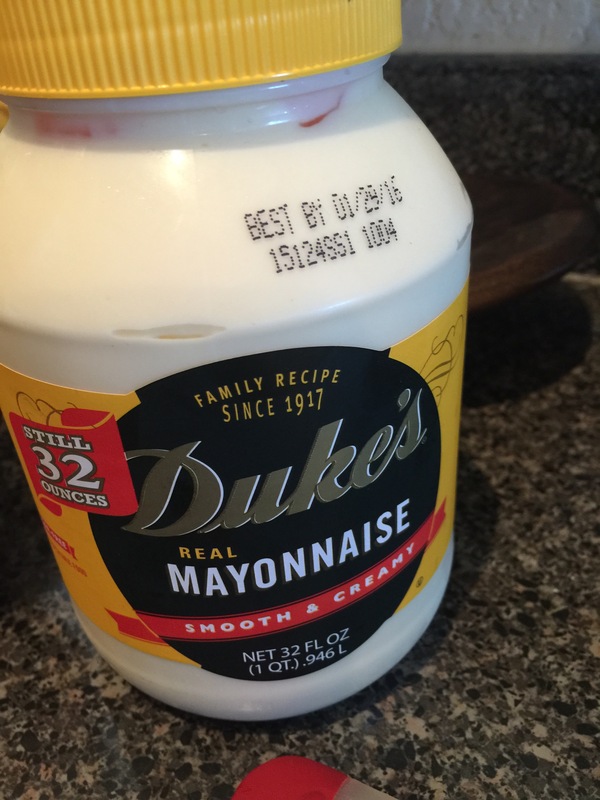 Also, if you live in the South you probably already know about Duke’s mayo. But if you don’t, I highly suggest you acquaint yourself. Yum! 6. 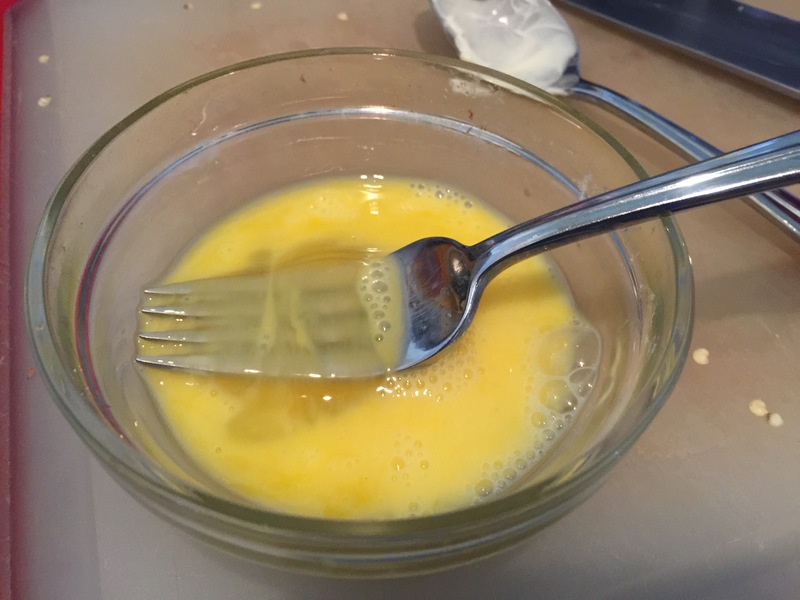 Now add your beaten egg and breadcrumbs to the bowl and mix it up with your hands so they’re all one big happy family! 7. 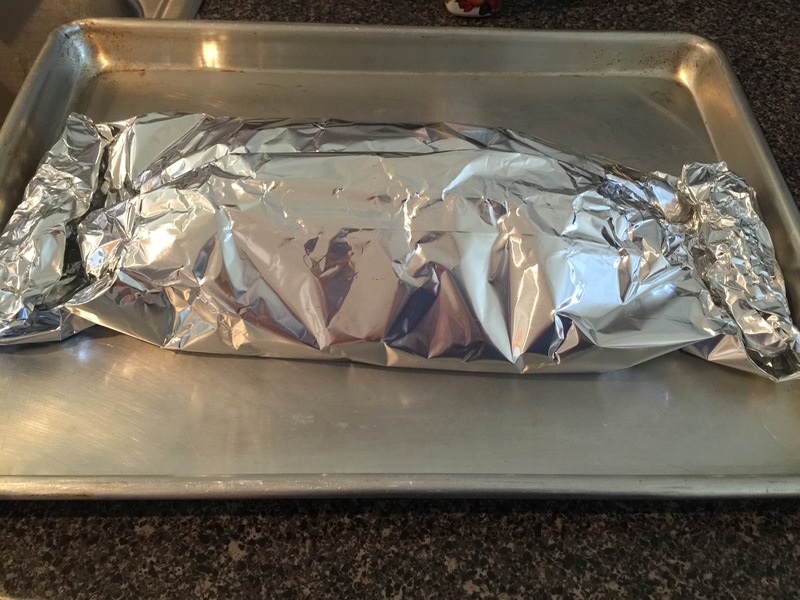 Now get out your foil and place the meatloaf on the dull side to prevent sticking. 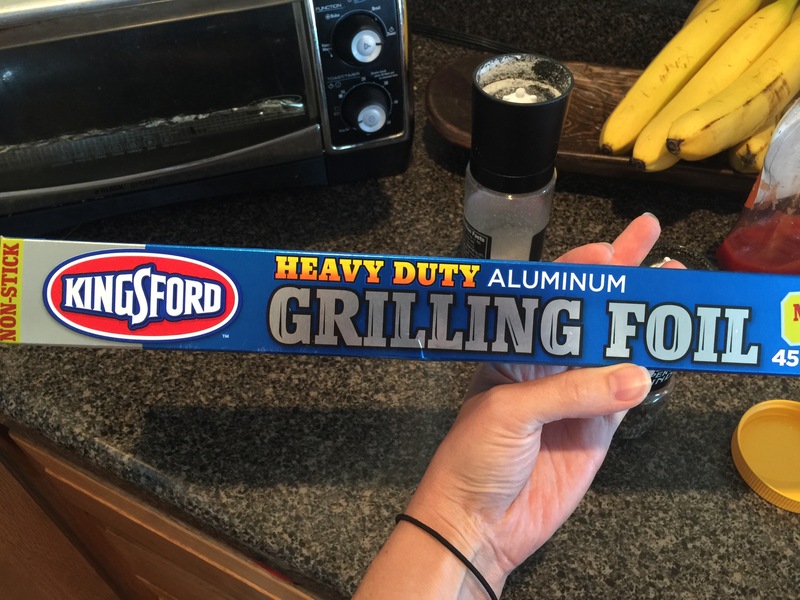 This was my first time using Kingsford Hd Non-Stick Foil, 45 sq. ft. and I loved it! Absolutely no sticking whatsoever! 8. 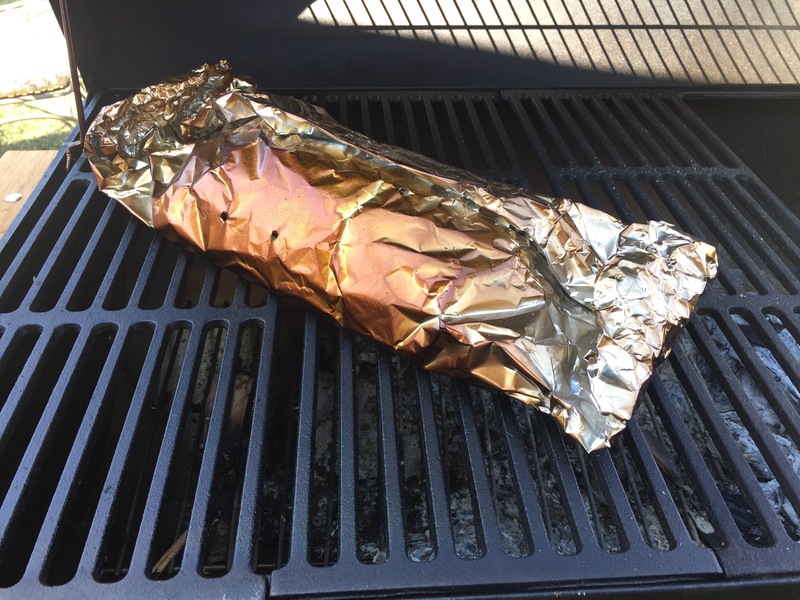 If your smoker temp is around 220, wrap your meatloaf up and get to smokin’! 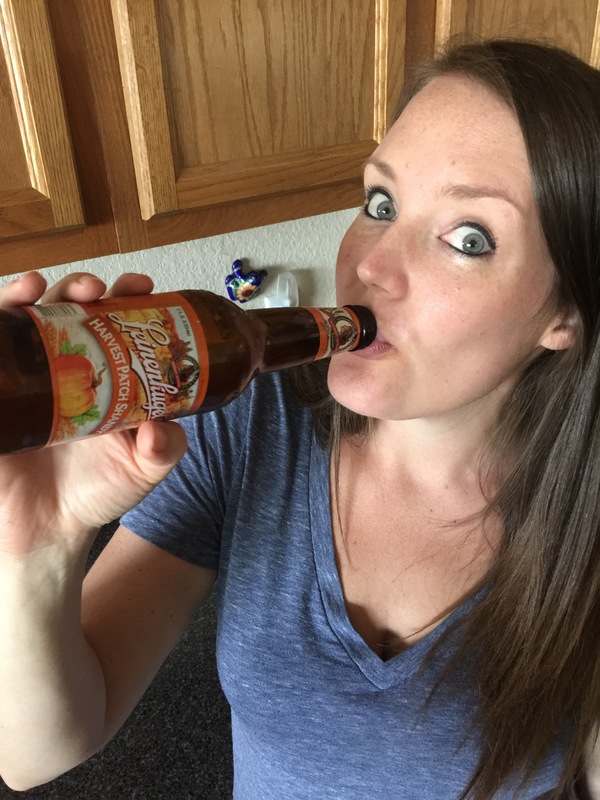 Also, crack open a beverage because it’s beer thirty! 9. 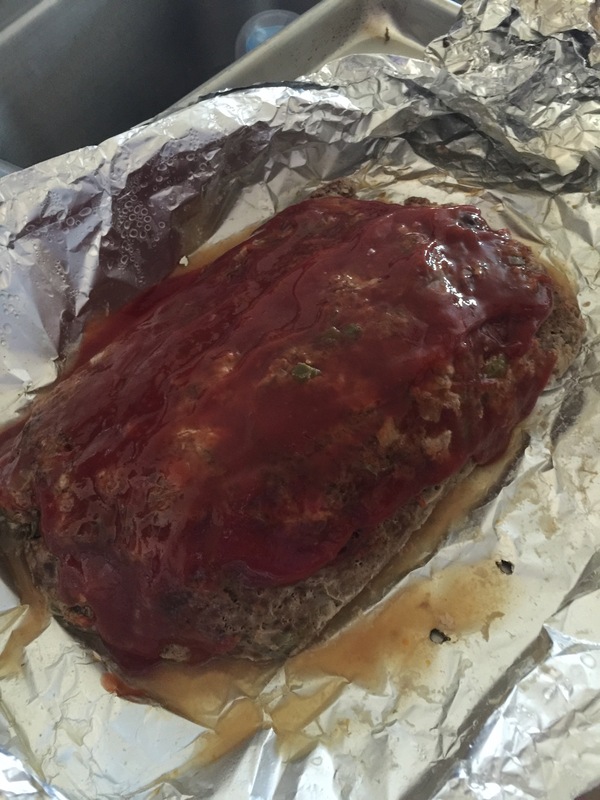 Like I said earlier, my meatloaf was done at 2 1/2 hours, so I didn’t glaze it here. 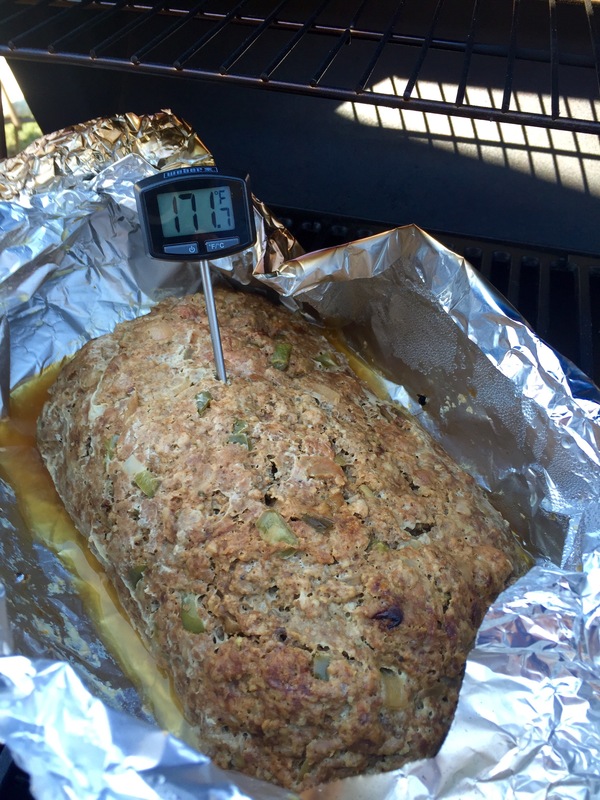 Be sure you have an instant read thermometer so you can get the temperature right on the meatloaf. The USDA recommends a temp of 160, but also keep in mind it will continue to cook once you pull it off, so you don’t want to let it go much higher than that. Weber 6492 Original Instant-Read Thermometer <— Click here if you don’t have one and need one. See how the temperature keeps rising even after its off the heat? 11. 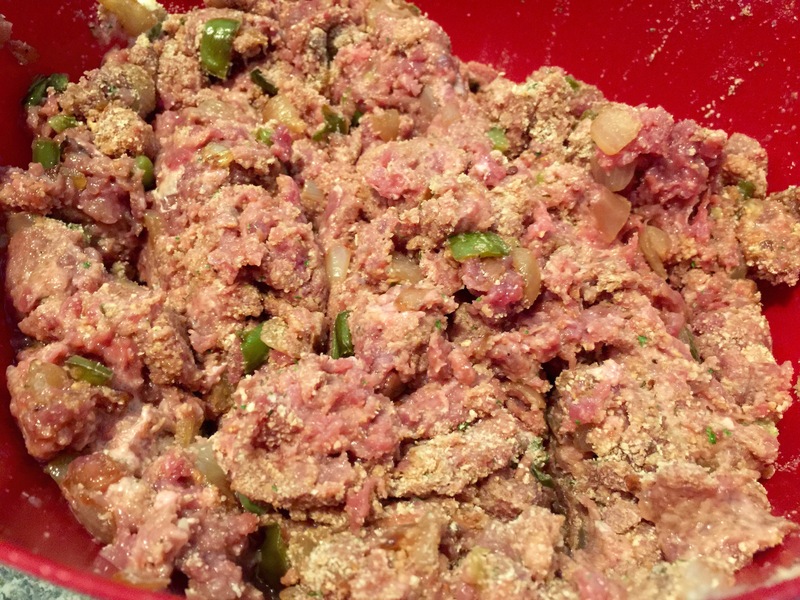 Dump and smear it all over your meatloaf and then place it under your broiler for a few minutes.